Wet Tapping: (2) 48" x 48" Wet Taps on Steel Pipe Containing Water. Custom Fabricated Fittings - Here is a 36" Custom Fabricated steel elbow fitting to contain a pipe failure. P.C.C.P. 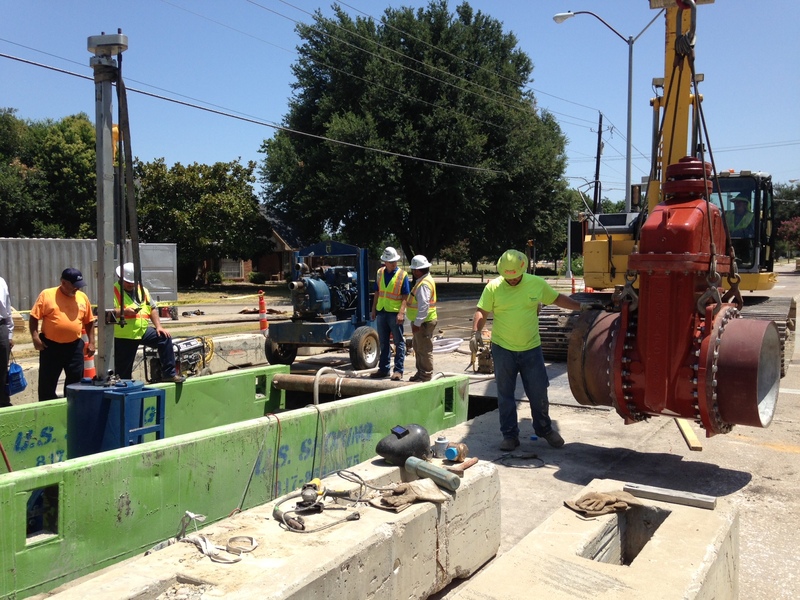 Wet Tapping: - Here is a 42" x 20" Wet Tap on a Pre-Stressed Concrete Cylinder water main. P.C.C.P. Line Stopping - Double 48" Line Stops on Pre-Stressed Concrete Cylinder pipe containing sewage. ...which is free to all our customers. 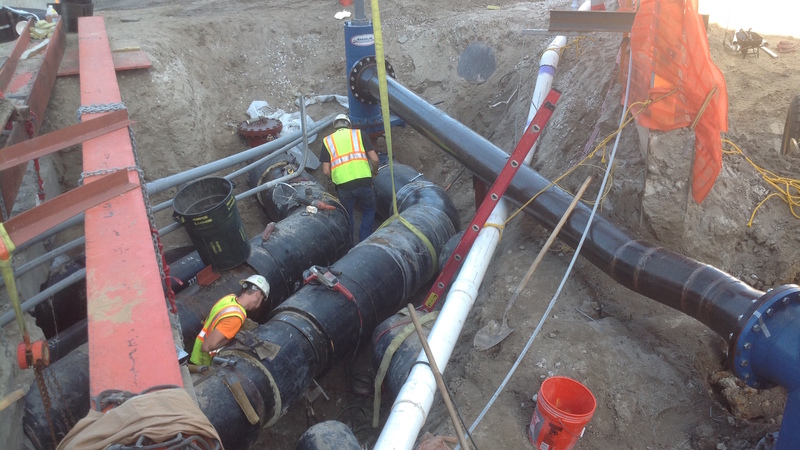 Small Scale Projects: Double 6" Line Stops on ductile iron water main. Triple Line Stops consisting of (2) 48" & 72" Line Stops on steel pipe. We stock the largest inventory of fittings and equipment to empower our 24 hours a day - 365 days a year Emergency Response Teams. 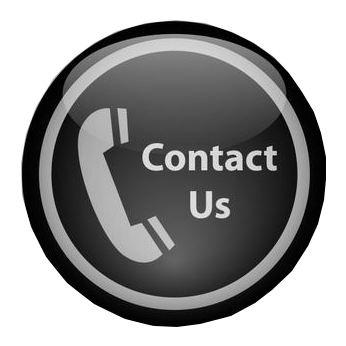 We are ready to help when you need us! 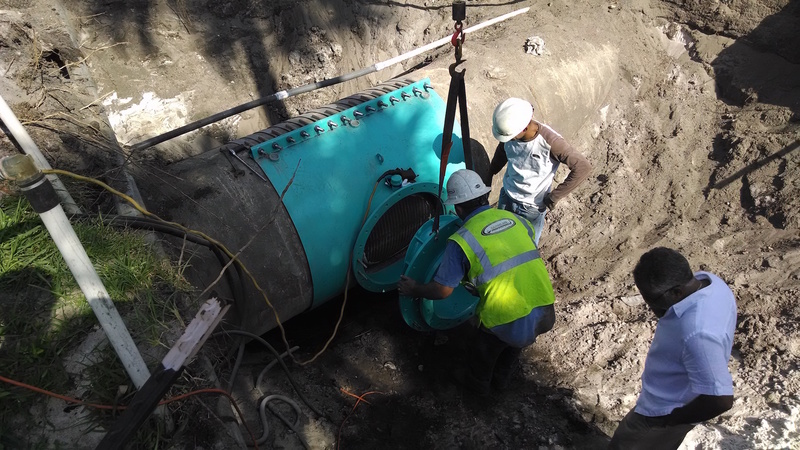 With Over 25 Years of Pipeline Service Experience We Deliver Sound Results with Pride and Integrity. 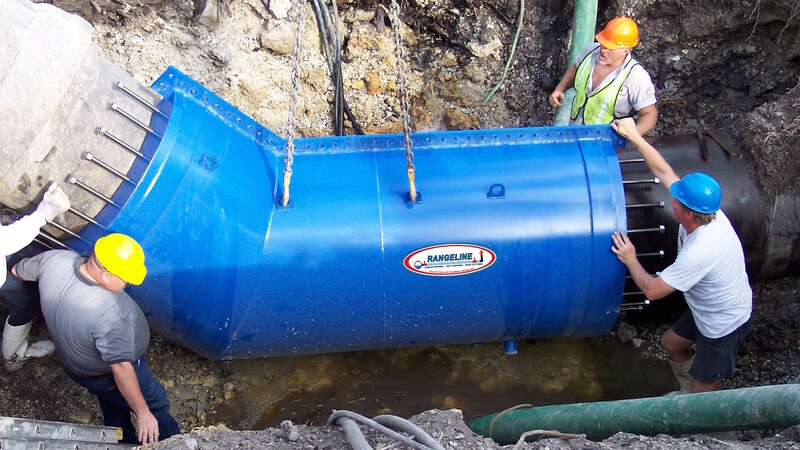 The Rangeline Group is a corporation that provides Wet Tapping, Hot Tapping, Line Stopping, Valve Inserting and Specialty Concrete Pipeline Services for over 25 years. We have performed these services throughout North America and continue to bring our experience across a wide spectrum of the industry to meet your needs. Our focus has always been on the customer and we deliver solutions safely and cost-effectively. Let our highly skilled team of sales, support staff and technicians provide the expertise to make your next project a success! 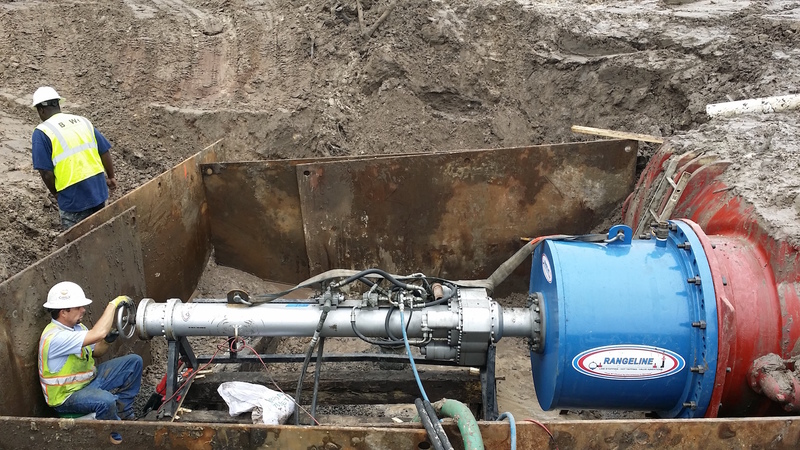 Utilizing Custom Tapping equipment, RangeLine Tapping Services Inc. is capable of performing both small and large diameter Taps, Tapping Sleeves and Line Stops on all types of pipe. Rangeline offers 24-hour emergency services, with a fully stocked Line Stop fitting inventory. We pride ourselves on having the right part for the job. 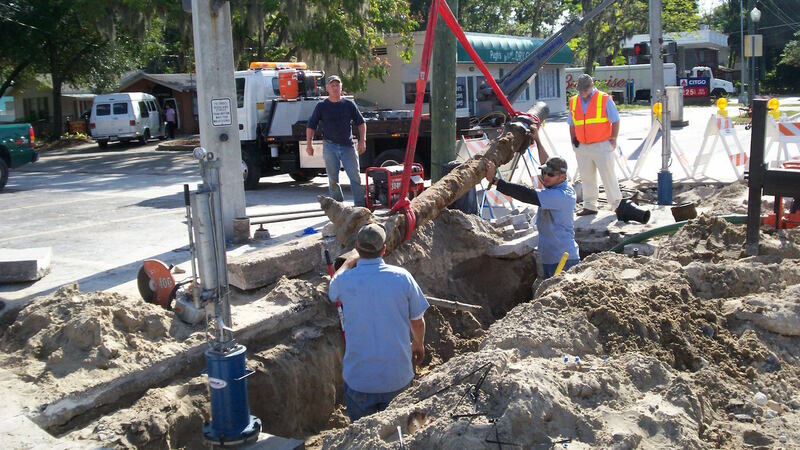 Certified Underground Utilities Contractor, License CU-C057091. Member of the National Utility Contractors Association of America (NUCA); Underground Utility Contractors of Florida (UUCF); Michigan Infrastructure & Transportation Association (MITA); (AWWA) and The American Society of Civil Engineers (ASCE). 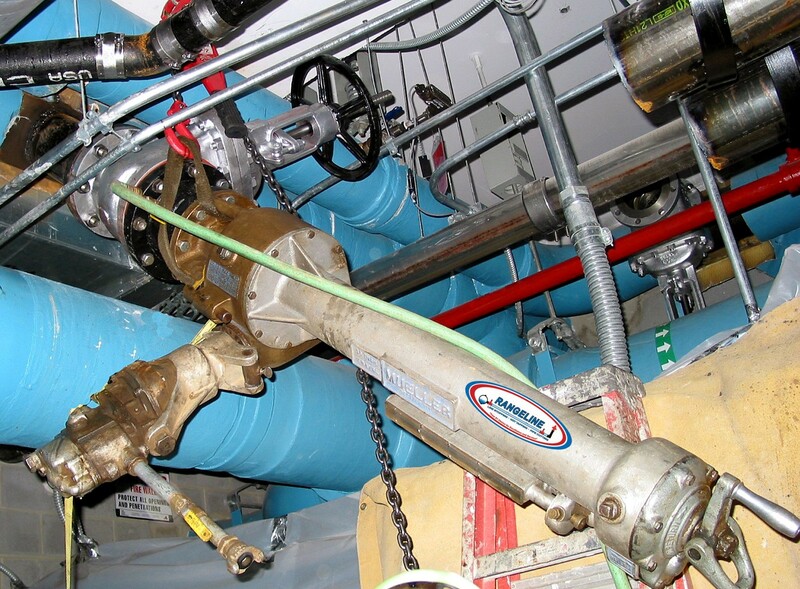 Rangeline Tapping Services offers innovative engineering services to engineering companies. Try our new 5 Step Program for your Wet Tapping, Hot Tapping, Line Stopping and Valve Inserting applications. 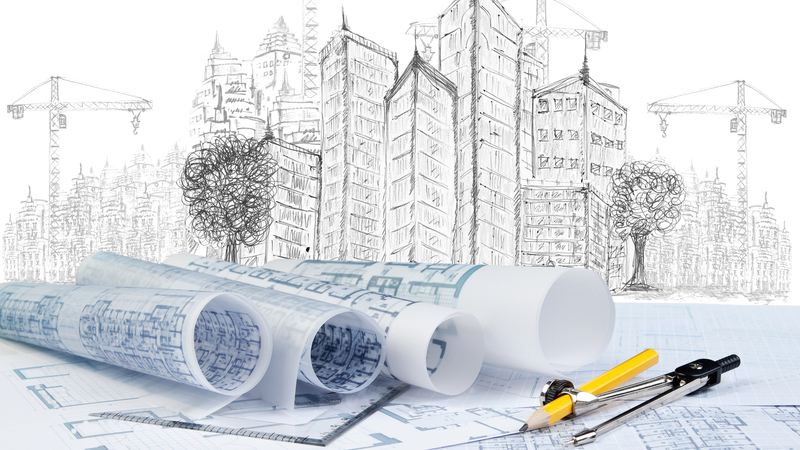 Rangeline can assist you with all your engineering needs. When it comes to piping let Rangeline’s vast experience come up with the solutions. 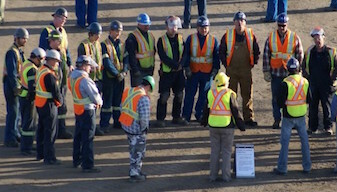 Rangeline Tapping Services produced a detailed animation that illustrates each step of a successful line stop to a working pipeline system avoiding interruption and quickly resolving an emergency pipe break. In this three-minute line stop animation you will get a simple understanding of how Rangeline can help isolate pipe breaks and by-pass around the damaged piping and keep the system up and running with downtime or loss of product or production. 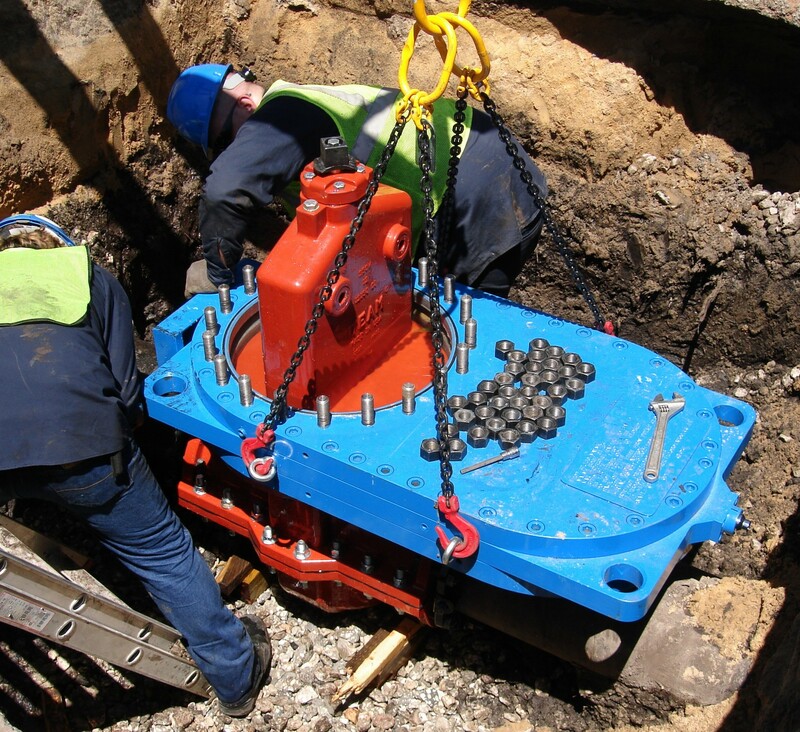 Line Stops can solve emergency breaks, repairs or replacements to all types of pipelines including; Ductile/Cast Iron, Steel, PVC, Asbestos Cement, Concrete Pressure Pipes, HDPE, Copper and more. Including all types of mediums such as sewer and water – both chilled and hot. 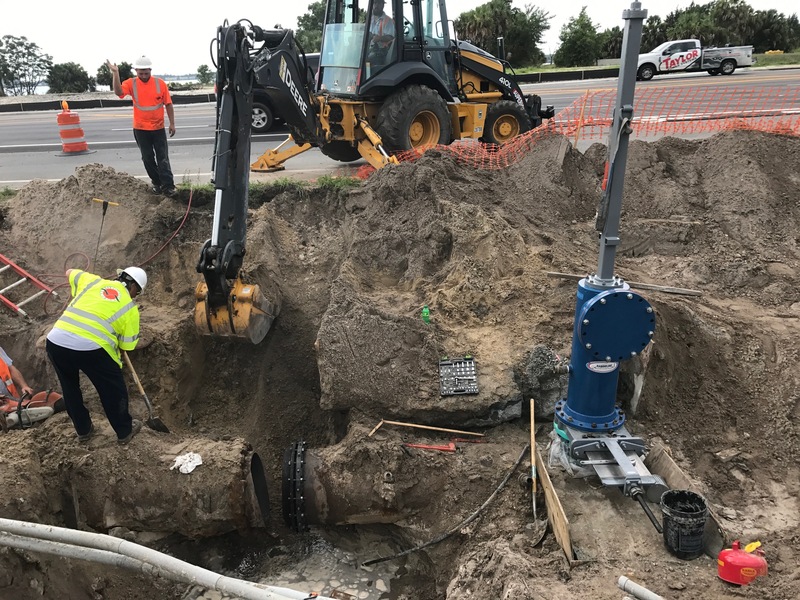 Rangeline Tapping Services has been deploying the latest State-of-the-Art Line Stops, Wet taps and Hot Taps services, custom fabricated fittings and tapping equipment across the United States for over 25 years. 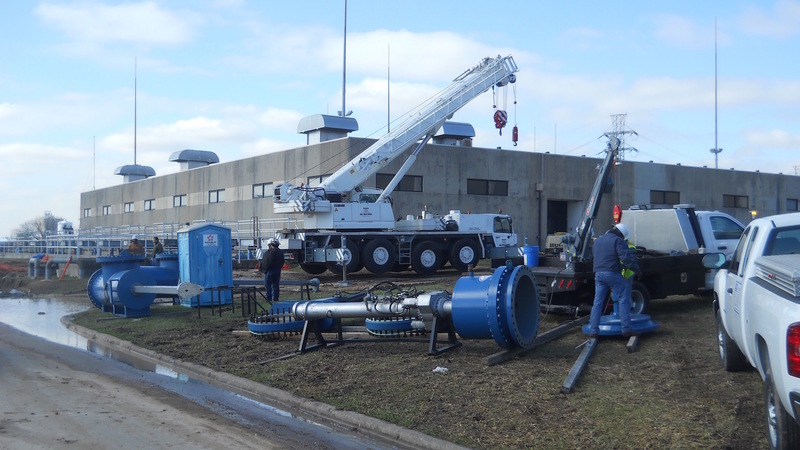 Helping thousands of customers with piping problems from replacing broken valves, relocate sections of damaged piping, isolating chillers, tanks, lift stations, piping on bridges all different types of pipes and products. Our Nationwide Emergency Response Team is Available 24 hours a day - 365 days a year! 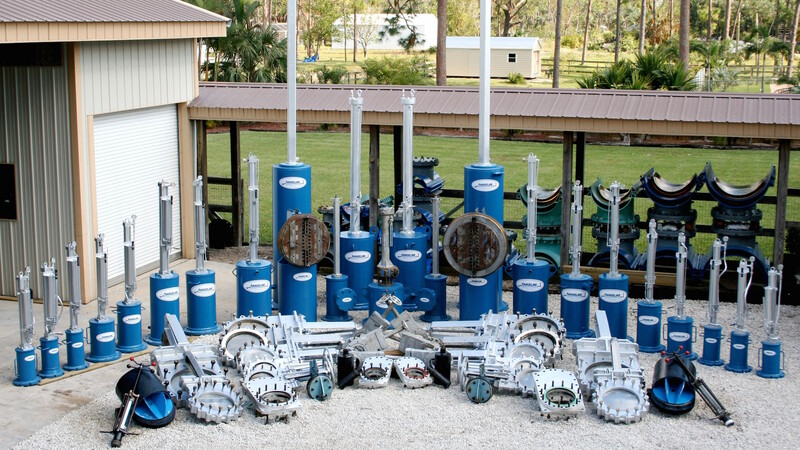 Rangeline Pipeline Services Group maintains and operates the largest selection of “State of the Art” Pipeline Tapping and Line Stopping equipment in the Country. You can expect precision line stopping, hot tapping, wet tapping and valve inserting services along with engineered custom fittings. Our Emergency Response Team is on call to minimize your business disruption during repair and maintenance. Service technicians are standing by throughout North America, 24 hours a day, 365 days a year with equipment, material and the expertise you need to solve your piping problems. Just wanted to thank you guys…Chris did an outstanding job!! Tapped and gone in less than 25 minutes! …Chris did a great job on the Insert Valve Tap and letting me know what he was doing step by step. I was very impressed with your field crews. Thank you for years of quality service and employees like Kimberly who truly understand customer service. Our hot taps were completed yesterday. Johnathon arrived early, with an excellent attitude, well prepared, and professional. I just wanted to thank you and Noel for the fast response and extra effort that you put into getting our repair done in such a timely fashion. I really appreciate the work that you put into this project. “I wanted to write and thank you and your team for the work performed out here in Horizon Texas. We greatly appreciate you willingness to work on such short notice. It was imperative we secure a contractor with both experience and professionalism. I am happy to report that Rangeline produced remarkably on both fronts. 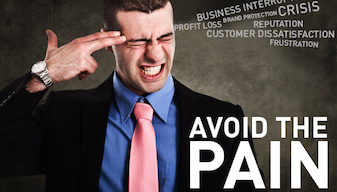 Your Tap Tech Jarred was experienced, professional, and had a good attitude. Thank you for the assistance in getting these hot taps completed. Brian was very professional in front of the customer, though I could tell he was irritated with the asphalt base material – which if you haven’t been around it, is understandable. The customer was very pleased with the work, the attitude and the care Brian took to ensure the taps went without an issue. Bitumar made note of the company name for future taps. Also another company, I do not know who they were, stopped by and watched Brian for a while. I could tell they were impressed with Brian and noticed they took note of your company name as well. Your crew member did an excellent job with the taps and installations. Both I and New Braunfels were very impressed. Allen from NBU also mentioned he liked Rangeline’s response time, even though you guys are located in the Dallas-Ft. Worth area. I think you will be getting work from NBU in the future. Neal Barron, Pure Technologies, Ltd.